LUMIBOX is the ideal LED-Module to replace temporary paint marking, which could be difficult to apply on wet roads or specific road surfaces. 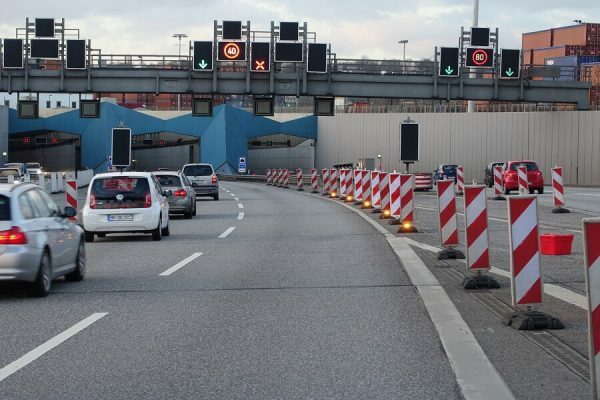 This LED-Module can be placed in the base plate of safety beacon systems, thereby a marking light chain can be reproduce, to better guide drivers through road turnings, road works, etc. The light intensity of the LEDs can be adapted to the environment thanks to a light sensor. 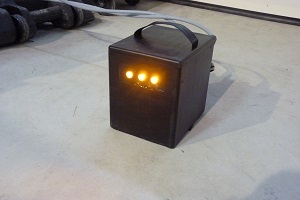 5 LUMIBOX can be connected in a row with a cable, all power supplied by only one external battery. Thanks to an external control box it is possible to switch from external to internal battery, in case the external battery is disconnected or empty. The LED-module has an internal battery, which allows full operating autonomy of the module. Around 70 hours autonomy in a fully charge state (may vary depending on the light intensity). Easy transportation thanks to the practical carrying handle. Excellent visibility by day and night time. The LED-module has a system that smoothest short brightness fluctuations and which is able to adapt itself to the different light conditions.